Image: Alan Davidson, Anthony Harvey/Shutterstock. Well, well, well, it looks like Meghan, Duchess of Sussex, isn’t the only member of the royal family to recently be connected to some drama that has made its way to the public spotlight. 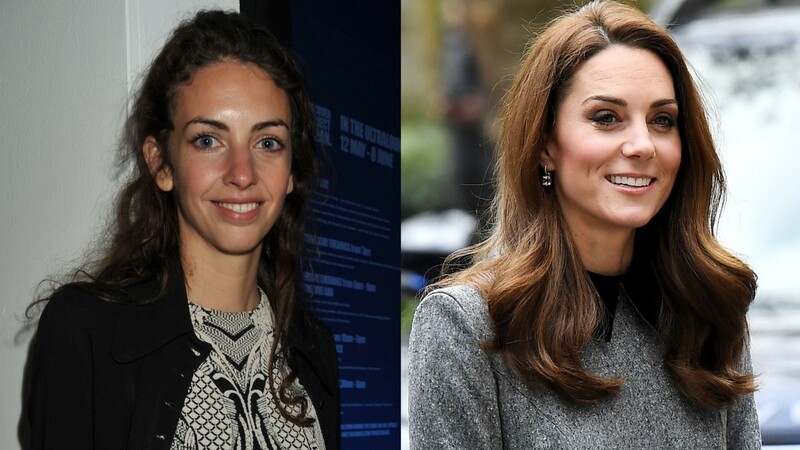 This week, rumors emerged of an alleged feud between Catherine, Duchess of Cambridge, and longtime friend Rose Hanbury, Marchioness of Cholmondeley. As reported by UK tabloid The Sun, the friends and neighbors had falling out after Prince William encouraged Kate to slowly phase out Hanbury and husband David Rocksavage from their lives. As of this writing, these reports have not been independently confirmed. While it’s still unclear exactly what this alleged feud leading to the possible breaking of friendly ties was about, one unsubstantiated narrative by established UK journalist Giles Coren involves claims of an affair between Hanbury and William. Elle magazine reported earlier this week that Kate and Hanbury had apparently considered taking legal action against The Sun, implying that both women want to shut the story down because it’s not true. Although, to be fair, neither woman has issued a statement confirming or denying there is any truth to rumors of bad blood between them. In light of all this, and considering this is the first time many are hearing the name “Rose Hanbury,” let’s take a look at who Hanbury is and what we know about her. When she was 25 years old, Hanbury married David Rocksavage, the 7th Marquess of Cholmondeley. Following their 2009 nuptials, Hanbury earned the title of Marchioness of Cholmondeley. She also has familial ties to the peerage as her grandmother, Lady Elizabeth Lambert, was the daughter of the 10th Earl of Cavan. Hanbury’s professional life before marriage primarily revolved around making a living as a model. Per Tatler, Hanbury was represented by Storm Models, the same agency that once represented supermodel Kate Moss. Hanbury is a mother to three children. Twins Alexander Hugh George and Oliver Timothy George will be 10 years old in October and daughter Lady Iris Marina Aline Cholmondeley turned three in March. Not only is Hanbury connected to the royal family through her friendship with Kate, but her grandmother, Lady Elizabeth Lambert, was a bridesmaid at Queen Elizabeth II and Prince Philip’s wedding in November 1947. Both Hanbury and Kate’s homes, Houghton Hall and Anmer Hall respectively, are located in Norfolk, England, and they are located within walking distance of each other. Because of this and the fact that the friends live close to other members of the British upper crust and, as such, regularly socialize with them, their group has been dubbed the “Turnip toffs” by the media, likely a dig at the rural local of their homes and their class. In addition to having been friends for over a decade, Hanbury and Kate are patrons of one of the same charities, the East Anglia Children’s Hospice. The group is dedicated to helping children and young adults who are living with life-threatening conditions as well as supporting families living in Cambridgeshire, Essex, Norfolk and Suffolk.